Less than a month before the presidential election, a little diner just a short drive from my house made front-page news in The New York Times. What happened next might make you feel a little better about America if you're worried that we just don't care enough about our neighbors anymore. First, the backstory: Donna Dove has been running Donna's Diner for 13 years in downtown Elyria, Ohio, on the corner of Middle Avenue and Second Street. Like so many small towns, Elyria has been hit hard by changing times, and Donna has struggled mightily to keep her diner afloat. Donna's always had her loyal customers, but it's safe to say that, until two months ago, most people in my neighborhood and too many in Donna's had never had so much as a cup of her coffee. Then Times writer Dan Barry and photographer Nicole Bengiveno discovered the little diner with Formica countertops, quirky regulars and electric bills that just keep going up and up. Their story, titled "On the Corner of Hope and Worry," clawed its way into the hearts of people around the world. This is not an exaggeration. Earlier this week, a friend and I stopped at the diner for breakfast and read some of Donna's letters, and many of the entries in the red notebook she put by the cash register for guests to sign after the story ran. "I wanted to remember them," she said, handing me the notebook. "People are full of stories, you know." Yes, they are, starting with Donna. She took a break from cooking and pulled up a chair to talk about some of the customers who sent letters and swarmed her diner after the story ran. They came from down the street and across the country. A lot of them were journalists swarming the battleground state of Ohio. "From New York to California, from Germany to Japan," she said, shaking her head with a smile. "China, too." She'd never seen anything like it. "Packed," she said. "Packed all the time. I finally had to call the mayor for help." By "help," she means answering the phone and returning calls. "Yeah, I did that," Mayor Holly Brinda said, laughing, in a phone interview. "I care about Donna, and she was pretty overwhelmed. She also was getting some inquiries from businesses wanting to know about the city. I wanted to follow-up." Donna said she's written about 50 thank you notes to kind strangers, but she has a lot more to go. "People are something," she said. "They do the nicest things." A man from Albuquerque wrote, "I recently closed my little cookie company after six years of being in business. I understand the struggles all of you are going through, and I send you all my best wishes." He also sent cookies. Many sent money, about $4,000 in all. "I paid my bills," Donna said, before I had the chance to ask. A television celebrity paid her electric bill outright. Business at the diner is still up by about 50 percent. It seems that once people discover it, they want to return. A new community is growing on the corner of Middle and Second, one customer at a time. Donna's daughter, Kirsty, works as a waitress at the diner, and she has her own way of acknowledging new customers. "Thank you for breaking your habit," she tells them. "You're so used to Denny's and Bob Evans. You had to change your routine to come here." A California schoolteacher made his 6th- and 7th-graders read the story about Donna's Diner. "Is there some way we can help you?" the teacher asked her. "Please tell your students this: 'The next time you're in the car with your mother or your father, and you're looking for a place to eat, and you see an IHOP on one side and Joe's Diner on the other side, go to Joe's Diner.'" Not that there's anything wrong with IHOP, she quickly added in recounting this story to me. "I'm not saying anything bad about those other restaurants," she said. "But you'll find your best friend in a diner." Connie Schultz is a Pulitzer Prize-winning columnist and an essayist for Parade magazine. She is the author of two books, including "...and His Lovely Wife," which chronicled the successful race of her husband, Sherrod Brown, for the U.S. Senate. 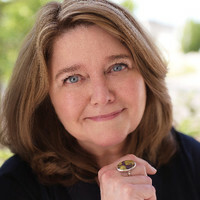 To find out more about Connie Schultz ([email protected]) and read her past columns, please visit the Creators Syndicate Web page at www.creators.com.